Let us help make the process of probate in Florida quick and easy for you. No courtrooms. No confusing paperwork. Most people never think about probate – until they have to. The trick then is to deal with it in a smart, sensible way. 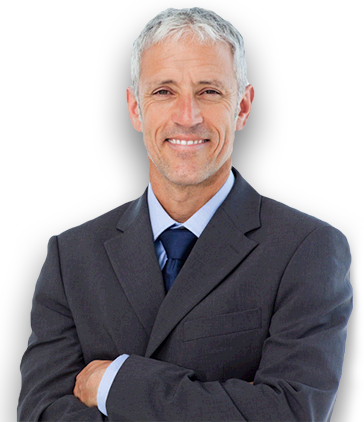 Your goal should be to hire the most experienced probate attorney you can find. There's nothing worse than someone making a major mistake with a parent's estate – one that cannot be corrected. Probate can be a messy and emotional process because it involves family members and money. You'll feel better if you have a seasoned and professional probate attorney on your side. Florida sets guidelines on what your attorney can charge. Getting the best lawyer for the money means hiring a firm renowned for its efficiency, which saves you money. The probate process is usually time-consuming, difficult and expensive. But it doesn't have to be this way. You should not have to go to court to get an estate probated. When the time comes, you should know you have access to the most qualified probate attorneys in Florida. In Florida, a probate attorney is a must. That's the law. So pick a probate lawyer who will represent you fairly and fight for your rights. It's important to have someone on your side who understand all the details about probating an estate in Florida and knows how to get the process moving quickly. Get in, get the estate distributed and get out. Probate is the legal term for distributing money, property and other assets from a deceased person to the rightful heirs. 95 percent of the time, this is a mandatory process. Understand your role in the process, and make sure you do it right. Anybody who dies with money in the bank or property in their name has an estate. We are expert are protecting the assets in your estate: cash, property, personal possessions, stocks and bonds, life insurance policies and retirement accounts. Far too many people never execute a will during their lifetime, which can make the probate process more complicated. Learn about the importance of a will and what it means to you and your family. A qualified probate lawyer understands the volume of paperwork needed to get an estate through the probate process. Florida probate lawyers also know how the process works when your loved one dies in Florida and you live outside the state. When it comes to probate, Florida has one of the country's most unique set of laws. Not every attorney is equipped to deal with every aspect of them. Get the peace of mind of knowing you have a probate expert protecting you.